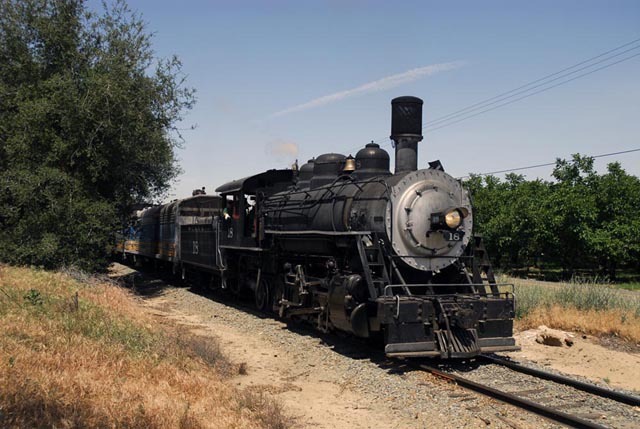 Former McCloud River Railroad #18 arrived on the Sierra Railroad, its new home for the next couple years, a day or two after leaving McCloud on the trucks. 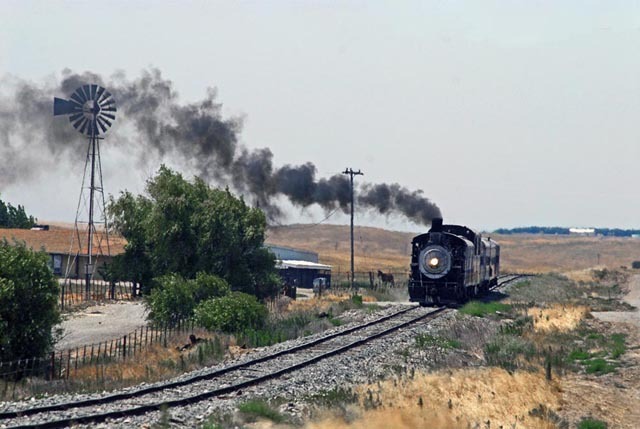 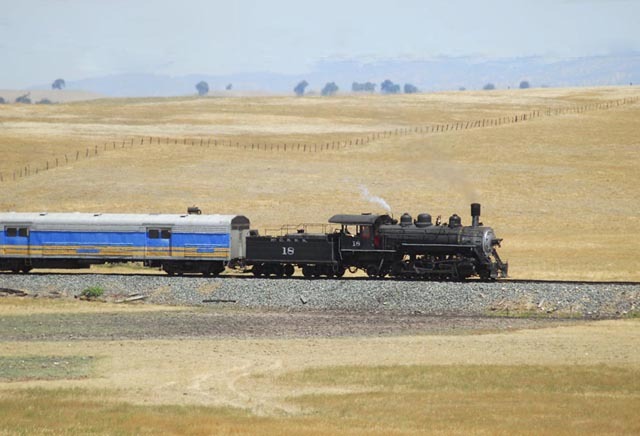 The Sierra operates the locomotive on special mid-day runs of their Golden Sunset Dinner Train east out of Oakdale, CA. 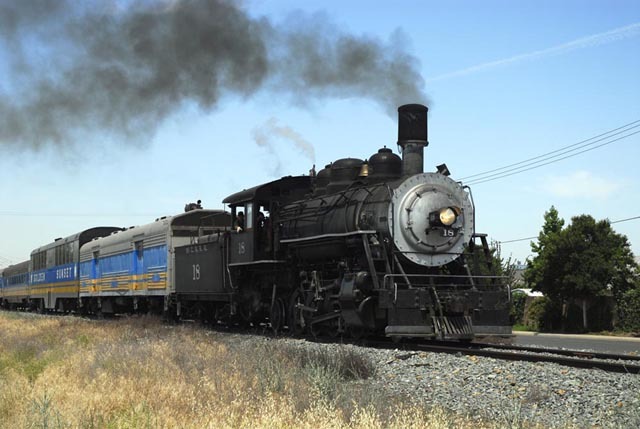 The first revenue trip occurred on 26 May 2007. 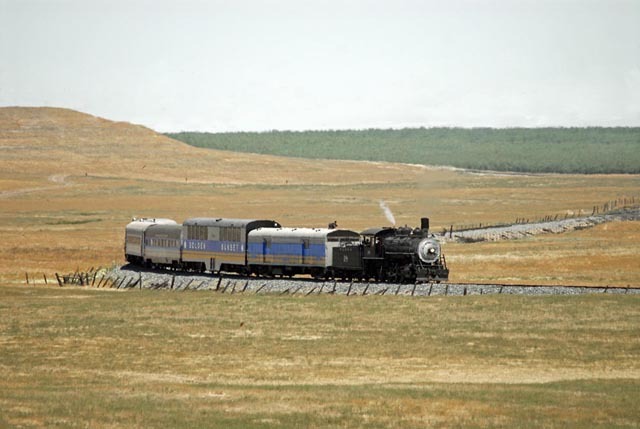 Drew Jacksich photographed the first train; all photos are by and courtesy of him. 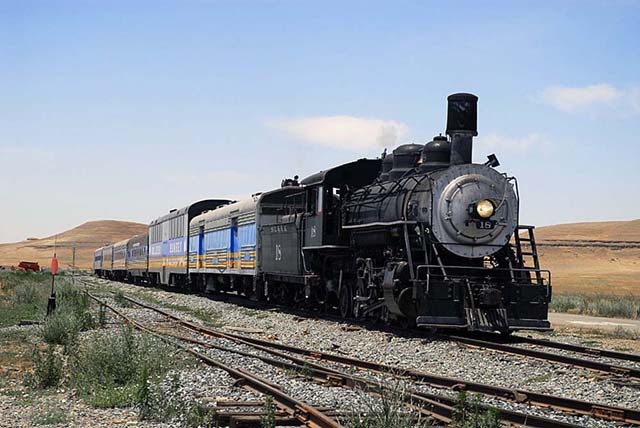 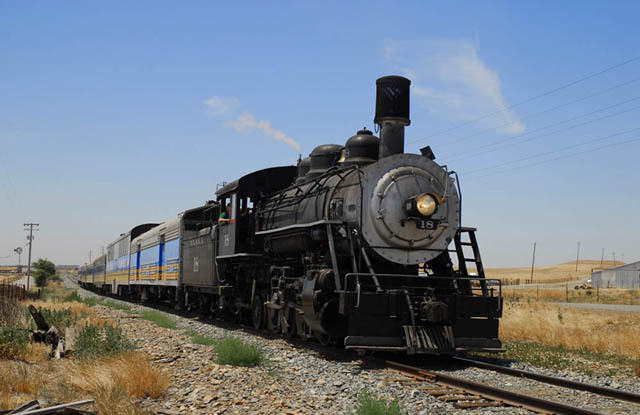 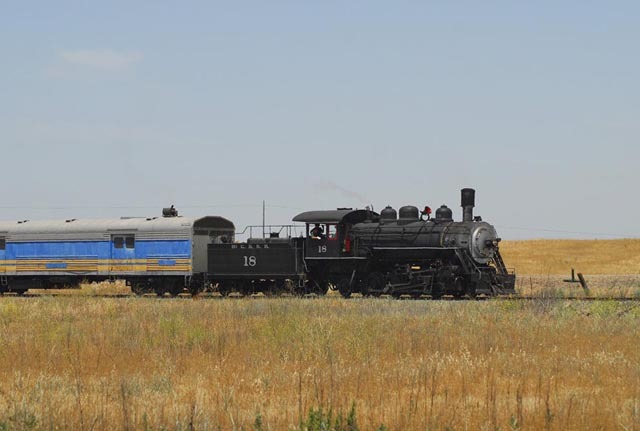 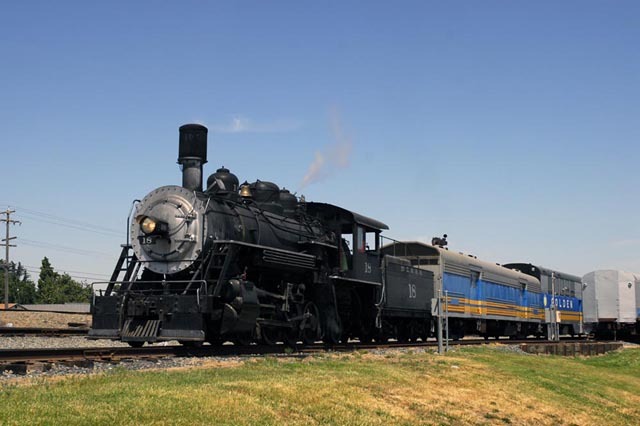 The Sierra plans to operate the locomotive every Saturday through mid-September 2007.